Whether daytime, twilight or after sunset, the Garden’s magic makes any event truly memorable. 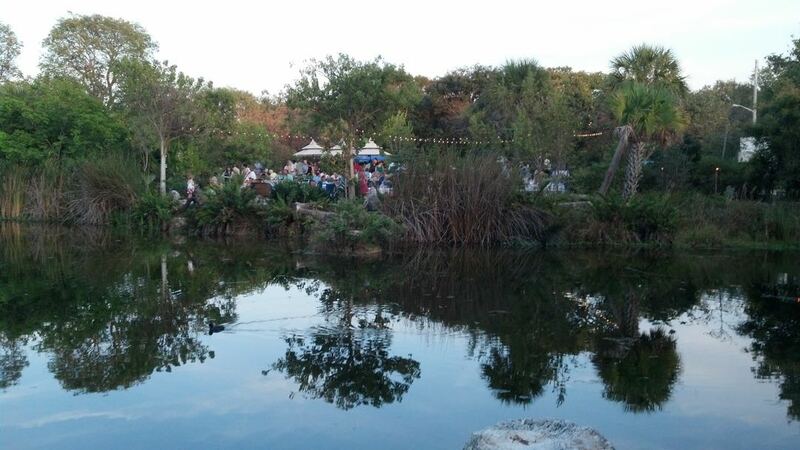 The outdoor venues include the Waterfall Courtyard, the Terrace and the Butterfly Garden. Our indoor venue is the Nature Chapel. Venue rentals are available from 9 a.m. to 11 p.m. 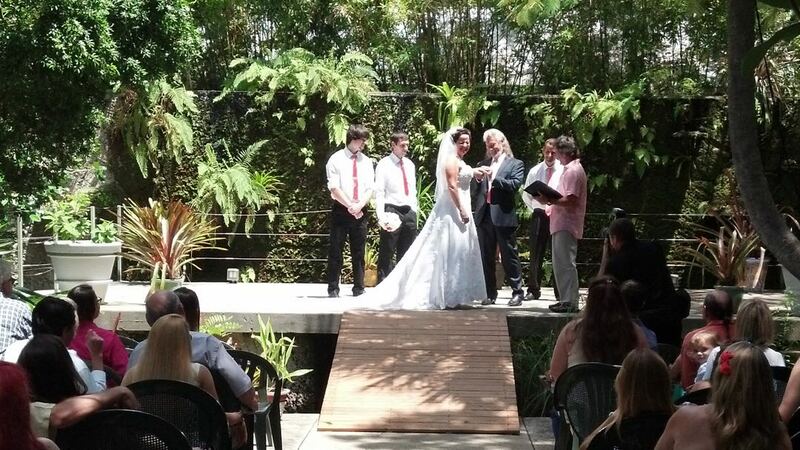 The Courtyard, surrounded by lush tropical foliage, offers a raised stage for your ceremony while the sounds of a gentle waterfall enhance the romance of your garden wedding. The Courtyard is also equipped with both overhead and landscape lighting which provides a warm and inviting glow to your evening ceremony or reception. This venue can be used for both the ceremony and reception, and for larger parties the reception can be held on the Terrace. 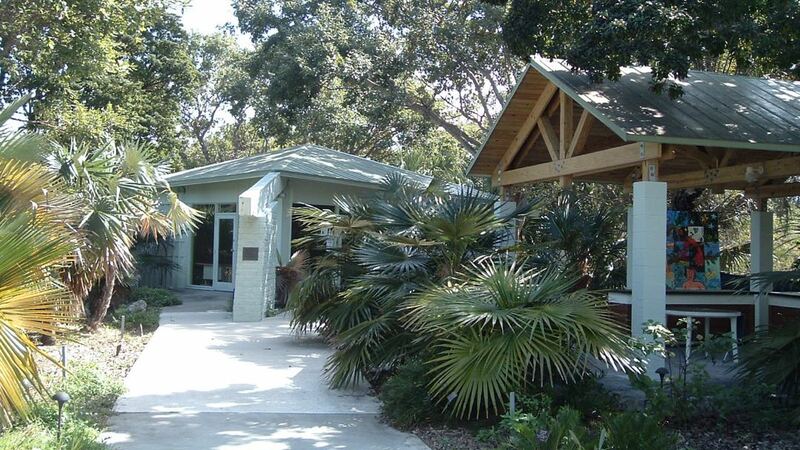 It’s a pleasant walk from the Courtyard to the Terrace through the Tropical Forest. Optional bar service will allow guests to enjoy cocktails as they stroll along the boardwalk and bridge over our fresh water pond on their way to the Terrace. Description Overhead lights provide a warm glow for dining and dancing on the Lakeside Terrace. A stage will easily accommodate a large band, or a DJ if you prefer. A night sky glittering with stars will shine upon the wedding dance floor, lighting the dancers as they celebrate your special evening. Laughter and music will fill the night air as your guests raise their glasses in a toast to you both. This venue can be used for both ceremony and reception, especially for larger parties. Restroom facilities are adjacent to the Courtyard. 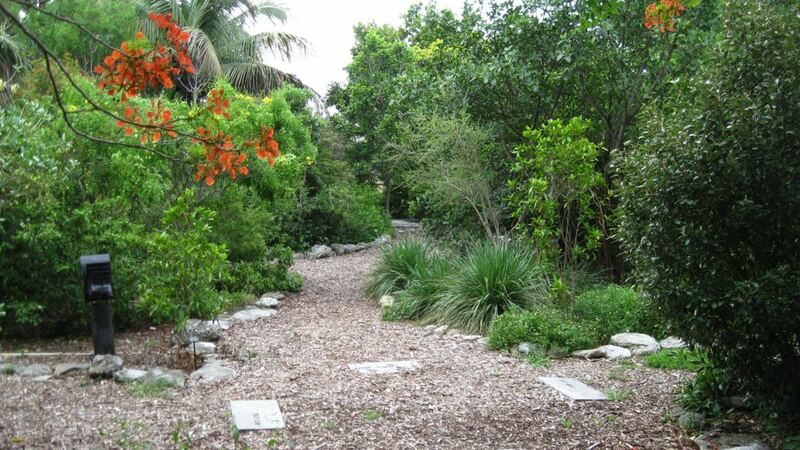 Pledge your vows in our butterfly garden, among flowering shrubs and fluttering butterflies. Your guests can become part of the ceremony in this intimate setting and really share in your special day. This venue can be used for ceremony only since it is a more intimate space. 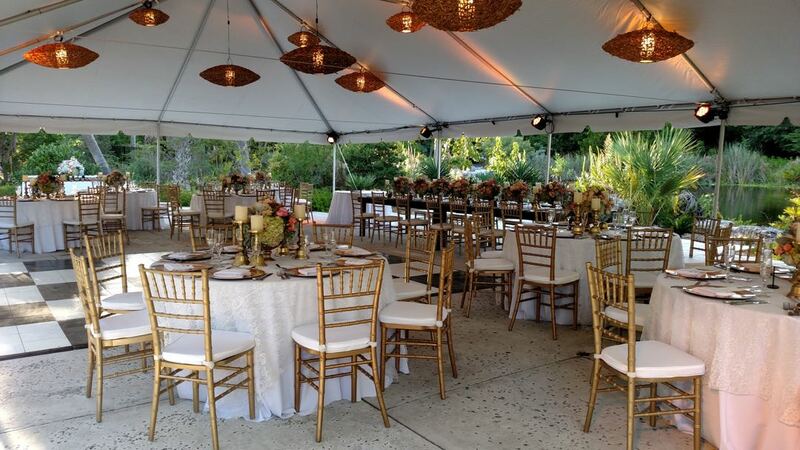 Have your reception in either The Courtyard or The Terrace depending on the size of your guest list. The Nature Chapel & Pavilion venue is one of our intimate locations, perfectly suited for a small ceremony or event of 50-80 guests. And, it is our only indoor venue. Although Key West rarely finds itself without sunshine and gentle breezes, there are those times when an indoor event is exactly what you’ll need. And, the chapel and pavilion provide exceptional indoor-outdoor space with a perfect bar for serving. Whether you’re planning a wedding, family reunion or a corporate outing, our staff works to ensure your event meets every expectation. We want you to love the Garden as much as we do.